Dr. Robert E. Karsch always appreciates feedback from his valued patients. To date, we’re thrilled to have collected 35 reviews with an average rating of 4.97 out of 5 stars. Please read what others are saying about Dr. Robert Karsch below, and as always, we would love to collect your feedback. They took care of addressed problem which is related to my left knee, the pinched nerve on the Sciatic area. Kodi and Diana were wonderful. Gave me a lot of hope that my Knee issue will be resolved and that I am on track now for improvement. This practice was referred to me by two of my Doctors and I am grateful to both of them for their recommendation. If I could, I would give more than 5 Stars. This was my first time there. Not only was I pleased with the professionalism of the staff but they had such a friendly attitude and care towards me as a patient! Thanks for your service! When Dr. Karsch walked in to introduce himself, I was satisfied the moment I met him. He was caring and concerned about my situation. I'm thrilled he was chosen to treat me. Dr. Karsch is the best surgeon I have ever had and I have had many! He is very very capable and very careful to study your case before making a decision. He has replaced both of my knees. Now I have to have a complete shoulder replacement from a break due to a fall. I trust his work without question. There is barely a scar on either knee! For a sugeon, his "bedside" manner is wonderful! He cares about your body like it were his own! He is willing to listen to you and uses your information to guide his decisions. His staff members are terrific. He also teaches many students about the orthopedic field. They are so lucky to have him as their teacher. He is a graceous and kind individual. 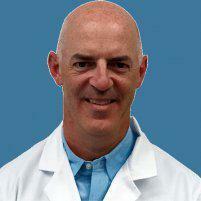 I am proud to have him as my orthopedic doctor! The best folks. They make it happen. Top notch orthopedic skills. Minimal waiting time. Friendly staff. Feeling better already. Personable and direct. Would refer to others. My surgical experiences with Dr. Karsch have been excellent! He gave me two brand new knees for which I have been extremely grateful. Dr. Karsch always answers your questions about your procedure. He has a most positive outlook about one’s recovery. He is the most encouraging orthopedic surgeon I have had to date. Of all the surgeons and doctors, I have had over my years, Dr. Karsch demonstrates the BEST EVER bedside manner! Dr. Karsch’s staff members at the N. Decatur office deserve similar praise, as well. The staff members there are friendly, competent, and always cheering you on during the healing process! I would recommend Dr. Karsch and his staff to anyone who seeks help in joint care and any other type of recommended orthopedic (surgical) care. After visiting the clinic, I have always felt like I had just received the best possible care for my immediate care or follow-up. Thank you, thank you, dear Dr. Karsch for your superb ability in the field as well as your willingness to work so positively and meaningfully with your patients!!!! The website is very user friendly! I had no trouble at all using the online feature for setting an appointment. The only issue, if it is one, was that there is only one place to list your insurance coverage. If you have more than one policy type, I was not able to list the other two insurance companies that I have. Detailed explanation of possible injury! Excited to have someone who cares so much about your understanding of what's happening! Getting ready to have a partial knee replacement. Dr Karsch and his nurse took the time to explain everything to me and I look forward to him doing my surgery and getting me back on track. The whole staff is great from the receptionist to Mr. Music, the surgery coordinator. Love this place, five stars isn't enough for them. Thanks team!! Dr. Karsh was thorough and has a great bedside manner. He worked with me to find an open MRI facility because I am severely claustrophobic. I've been a patient for almost a year now and can't imagine using another orthopedist. Very professional and taking time. I was highly impressed with the entire staff. Everyone was very nice and kind. Dr Karsch was kind, attentive and engaged in our conversation. I would recommend highly based on my personal experience.